Your boss calls you into her office for a meeting. As you step inside, you see the Human Resources Manager seated in one of the chairs on the other side of your boss’ desk. The other chair is empty except for an envelope with your name on it. You may have already seen the writing on the wall and have slowly removed your personal belongings from your desk over the course of the last few weeks. You may have even downloaded your personal files from your workstation. Often, you don’t see it coming and the HR Manager tells you that he will supervise you while you pack up your things before he unceremoniously escorts you out of the building. Other times, the HR Manager will tell you that one of your colleagues will pack up your things for you in a box which will be sent to your home by courier. Sometimes, the company may even offer you a taxi ride home if the shock is just too much for you. However the scenario plays out, your employment is being terminated and now you have this severance package to consider. I often receive calls from clients telling me, “I’m pretty sure it’s a decent package, but I just need to hear an employment lawyer tell me it is.” For some people, it’s worth it to spend $300 or so to have that peace of mind – especially if the company is willing to foot the bill. Others will balk at the cost and, frankly, I can’t blame them. When you’ve just lost your job, that is a lot of money to spend. Some may think that there isn’t much to gain from having an employment lawyer review the severance package. Perhaps. However, have you considered how the decision in Love v. Acuity Investment Management Inc. affects the determination of the common law notice period? Have you thought about how the Court of Appeal’s decision in Brito v. Canac Kitchens impacts on the benefits provider’s decision to discontinue coverage after the statutory notice period? Have you done a comparison of the reasonable notice period at common law to your entitlements under the Employment Standards Act, 2000? These are but a few of the many questions that a knowledgeable employment lawyer can answer for you. You might be wondering what to do when your boss tells you to think about the offer set out in the severance package, but she wants an answer from you by the end of business tomorrow. In my experience, the company invariably agrees to extend the deadline for a response if you request more time to consult legal counsel (preferably confirmed in writing). The company doesn’t want to run the risk that an accepted severance package is set aside by the court because the employee was refused an opportunity to obtain independent legal advice and was pressured to sign off without understanding the implications of the severance package. 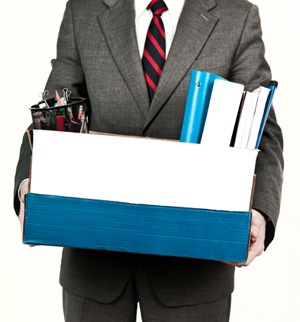 There are many things to consider with a severance package. Income tax implications. Pension contributions. Lump sum vs. salary continuance. Mitigation during the notice period. All of these decisions take some time. Don’t let the company rush you into making a hasty (and possibly disadvantageous) decision. Making the right choices can result in thousands of dollars in pay in lieu of notice intended to help get you through to that next job. When you look at it that way, that $300 is likely money well spent.